It’s a little bit like “Finding Nemo” – except at the end, you get to eat the fish. During the Ethereal Summit, hosted May 11–12 by ethereum startup/incubator ConsenSys in Queens, New York, attendees were given an immersive experience to highlight the benefits a blockchain could have of tracking goods as they move along the supply chain. While blockchain’s use for supply chain management is being tested for a whole host of products by startups and tech heavyweights alike, during the summit, Viant, an ethereum-based supply chain management startup, focused on tuna. The experience started by showing attendees a short documentary film called “Bait to Plate,” that charted the journey of a person-sized Yellowfin tuna caught in the waters off Fiji, an archipelago in the South Pacific Ocean. The documentary followed the fish from being caught to being packaged to being shipped all the way to plates of attendees at the conference. 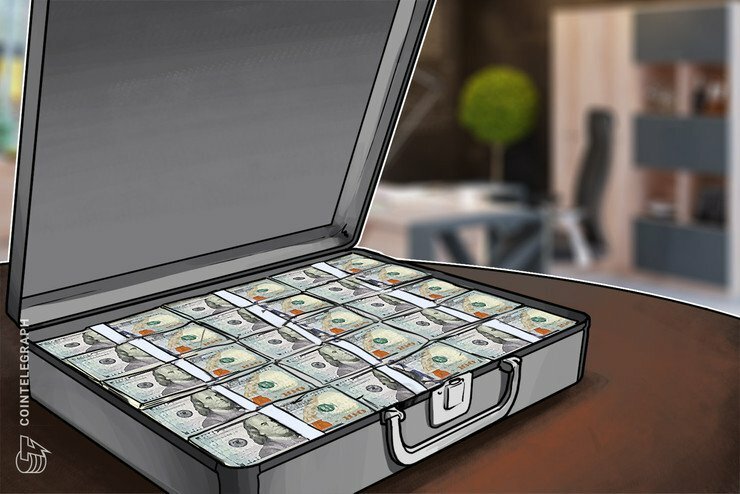 Atreya’s comment hints at the problem many blockchain enthusiasts believe the technology can solve – that in today’s global economy, it’s hard for businesses and consumers to know how their goods were acquired. This is not only important for people interested in only supporting the eco-friendly, sustainable and equitable trade of goods, but also in stopping the spread of food-borne illnesses, which have thus far been hard to pinpoint and control. As it relates to tuna sourcing in Fiji, consumers are becoming more aware that some of the fisheries are using slave labor, and in an effort to cut that off so it doesn’t continue, want better insight into the process at its very beginning. And according to Viant, logging the steps from bait to plate on the ethereum blockchain can provide that view. Whereas blockchain-based supply chains have been proposed for a whole host of goods – from diamonds and precious metals to marijuana to Ethiopian coffee – Viant focused on tuna because it’s a use case nearly everyone is familiar with. But the blockchain isn’t the only technology that was needed to make this experience hold water. As the film explains, immediately after the Yellowfin tuna was caught, the fisherman attaches a radio-frequency identification (RFID) tag to the fish, giving it a unique identification number that can be used to continuously track its location. By geolocating the fish using that tag, Viant logged the tuna’s coordinates on the ethereum blockchain and was able to show not only that it was caught legally and in sustainable waters, but also how many hands “touched” the tuna before it reached Ethereal Summit attendees chopsticks. According to the Viant co-founders, their process for tracking goods is particularly rigorous and allows for a trustless environment whereby no one has to rely on one party (which could have reasons to fudge data) to correctly log location information. And by using the ethereum blockchain, anyone can view those data points. 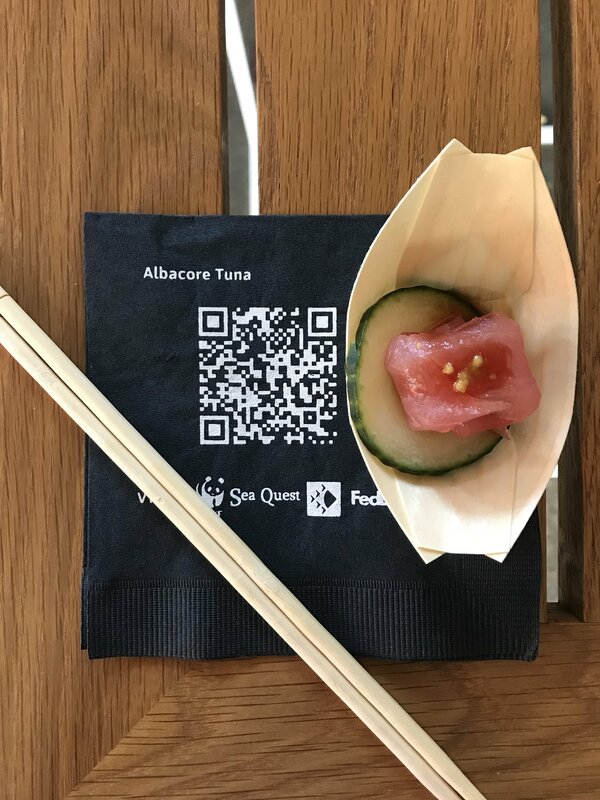 During the event, sushi made with the tuna was served to guests on a napkin featuring a QR code that could be scanned with a smartphone to pull up the exact details of the fish’s journey from Fiji to Queens. While supply chain management has been a popular use case for blockchain-based systems, the digital system cannot prevent physical manipulation. For instance, the RFID tag could get damaged or a malicious actor could detach the RFID tag and reattach it on another good, anywhere along the supply chain, effectively corrupting the data. As entrepreneurs and technologists continue to develop better systems for this process, Viant’s Mulvihill points out that the company’s role is broader – providing blockchain-based supply chain software to customers to experiment with and figure out what works and what doesn’t. 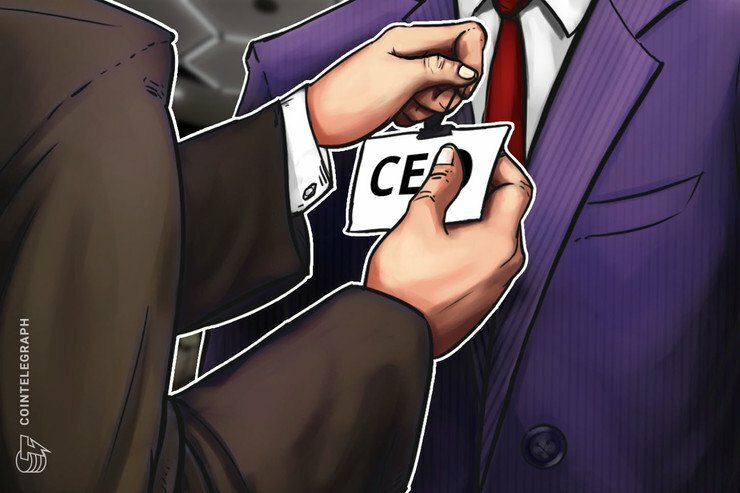 “There may very well be imperfect solutions built using the Viant platform, but the users and customers will react and demand improvements,” he said. Still, though, Mulvihill believes blockchain is an improvement on business as usual within the industry, allowing for more accountability since data is logged on a transparent, shared ledger.